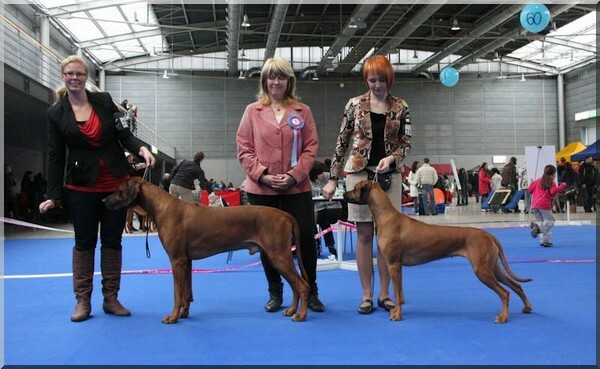 In the same time at KCHRR club show Lukova, CZ three of Arttu's offspring in Nyambe kennel entered puppy class. Alena and Jonas did once again amazing job and got VP1. That's not all they also participate best head competion and placed 4th!! Eva and Amaly Nyambe "Mia" placed also VP3! Irena and Abaya Nyambe "Baya" did also amazing job and got VP1, winning the males and got BIS-puppy title! Congratulations to all!! 9.9. Porvoo all breed show Tarujen Uwayo "Arttu" ch EXC1, CQ, BM1, BOB, and finally BIG4!! Ikimba Halifu "Unto jun EXC2. CACIB Mlada Boleslav, CZ Jonas got VP1, BOB-puppy and BIS-Puppy!! Way to Go Alena and Jonas! Today also where shown Arttu's offspring at Heinola all breed show where Taisto got jun EXC1, BM2 and first FI CAC!! Congratulations Marjo and Taisto!! Second day at Bratislava CACIB show, SK Jonas VP1! 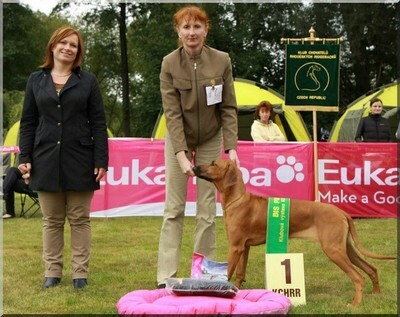 At all breed show Ostrava Amaly Nyambe "Mia" entered show ring and got VP1! Congratulations Eva and Mia!! 18.8. Baltic Winner-12 show at Tallinna. Today was also Arttu's turn to enter the ring. First we started in junior class unfortunately judge did not give any of the dog in the junior class exclent mark. So today not give the junior Baltic winner-title. After a while it was me and Arttu's turn enter the ring in champion class. Today was our day and Arttu winning the champion class and after more running the judge placed us first. So Arttu was EXC1, BM1, CACIB and new BalticW-12!! Then we have to wait again and finally we compete the BOB. BOB was today beautiful Lejonessa Scent of Savannah "Semla" from Sweden. In the same time in Finland Ikimba Husani "Taisto" entered at Kouvola all breed show and got excellent results jun EXC1, BM4 and res-CAC!!! Congratulations Marjo and Taisto!! 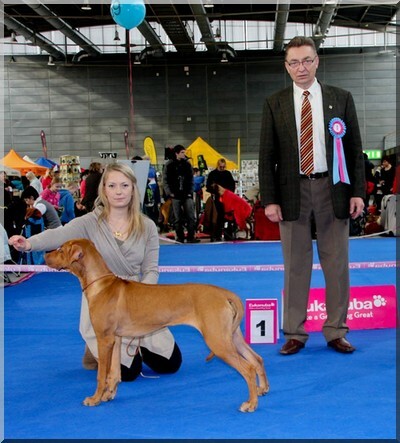 CACIB show Bratislava, SK Addy Jonas Nyambe was got also got excellent results VP1! At the same show also show Alexis Nyambe and she go VP1, BOB-puppy and finally BISS-puppy!! Congratulations all!! 17.8. This time me and Pasi and dogs headed to Estonia to spend longer weekend on dog show with family Kuusisto and Unto. We also got Jasmin, her friend and Ninja from Vastakarva Kennel our companies. Friday was 6 and 7-groups show at Rapla. I desided to not to show Arttu today. So only Ikimba Halifu "Unto" enterd group show in junior class. Unto start our weekend by winning the junior class male and got the second Estonia junior cac and finally placed second in best male competition.Unto placed BOS-Junior when Ninja our travel mate was BOB!! Congratulations Jasmin and family Kuusisto! Very nice start to our trips. And thanks to Tuuli and Timo for trusting me and let me to handled Unto in the ring! One more junior cac and Unto become a estonia Junior ch! 12.8. Today Arttu start his bloodtrackin career in very nice style. Only one loss but otherwise very nice tracking and I am so proud of him! His results was Open class II prize points 39!! We got really nice critique by the judge and he really likes how Arttu work on that track. 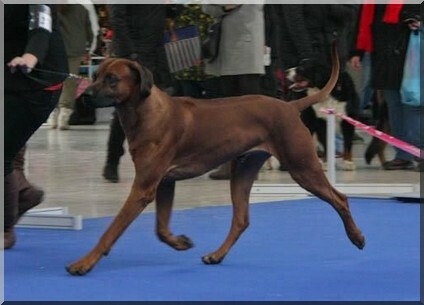 On the same time at Raisio all breed dog show Ikimba Himaya "Maya" entered first time in junior class judge was Liliane De Ridder Onghena (BE) Nicely Maya got only one in Junior class EXC1. This time judge think that she need more develop so no CQ. Congratulations Nina and Maya! 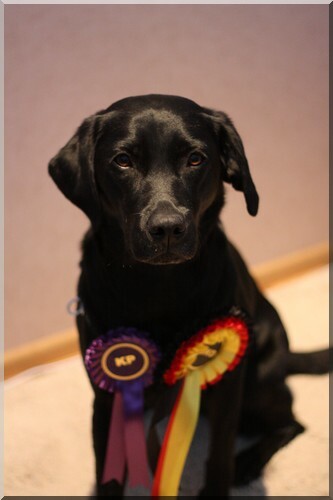 Saturday our judge was Nicole Imbimbo, IT Arttu really rocks in the ring CH EXC1, CQ, BM1, CACIB, BOB!! Sunday our little CZ fellow shine once again in the puppy class at hunting dog show (PL) Jonas (Addy Jonas Nyambe) excellent results VP1, BOBP and finally BIS Puppy!! 29.7. CAC Walbrzych (PL) Jonas enterd puppy class and got again very nice results VP1, BOBP and finally BIGP1! 1.7. Laukaa all breed dog show. We had lovely weekend with Tuuli and Timo and finally sunday both daddy and son entered in the ring. Untos turn was first and he totally charmed the judge. After couple dogs then was Arttus turn to enter the ring and here is both boys very excelent results. Ikimba Halifu "Unto" JUN EXC1, CQ, BM1,CAC and BOB and Tarujen Uwayo "Arttu" CH EXC1, CQ, BM2!! Congratulations to Tuuli and Timo! In the same time Jonas entered cac show in CZ and got VP1, BOBP, BISP2!! 10.6 CAC Raciborz (PL) once again Jonas got VP1, BOBP! 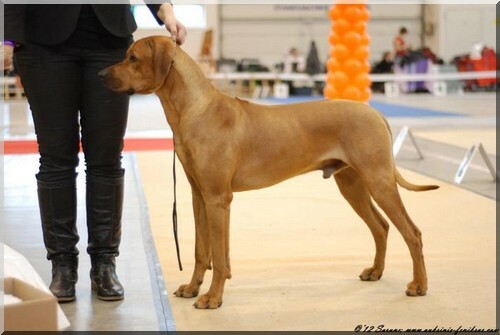 In the same time in SK Arttu's son Jonas entered Nitra CACIB show and got VP1 in puppy class. 2.-3.6. Estonia Winner-12 and Group speciality. Saturday Arttu got EXC3, Ikimba Halifu junior class EXC2. Sunday was our boys day to shine. Tarujen Uwayo Ch EXC1, BM1, BOB and end of the day BIS!! Ikimba Halifu jun EXC1, BOB-junior, BM3 and in the end BIS-JUN. WOW father and son defenitely took everything! Thank you Tuuli and Timo for great company and Congratulations ones more!! 27.5. At Joensuu INT. Show Tarujen Uwayo CH EXC4, CQ. 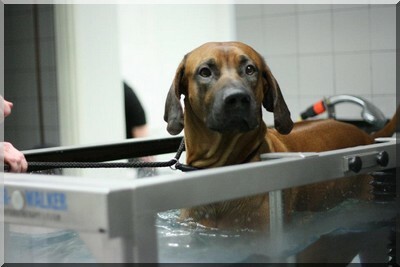 Arttu's son Ikimba Halifu Unto at the same show Jun EXC1, CQ, BOB-junior, Res-CAC!! 13.5. 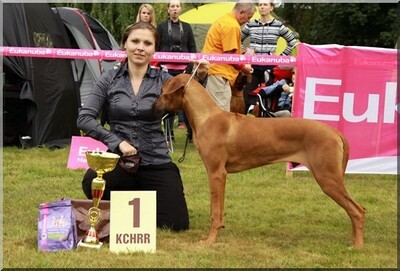 Speciality show KCHRR(CZ) VP1, BIS tiny baby!! Way to go Alena and Jona! 12.5. 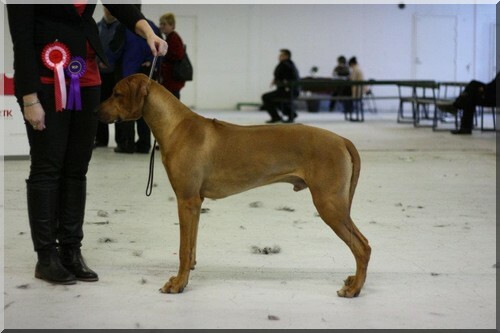 Club show KCHRR (CZ) Arttu's CZ son Addy Jonas Nyambe"Jonas" VP1, BIS Tiny baby!! 17.3. This Saturday was Elle's turn to shine! We entered obedience trial at Varkaus. Our first trial at open class and it went excellent! Our nice result was 184,5 point I prize, HP and class winner!! 10.-11.3. Lithuani Winner and Vilinuis Cup-2012. This time we got Arttu's son Taisto (Ikimba Husani) and his owner Marjo to our travel company. Arttu and Taisto haven't got seen so many times so I was little bit nervous how boys coming to get along. I should not worry at all becouse father and son get along very vell. End of the trip they even play to gether. :) I haven't seen Taisto for long time and he has become very nice boy. This was Taisto's first time in official show at junior class. I had honor to handling him. Taiso definitely did he best by winning both days BOB-junior, become Lithuanian Junior Winner-12, got 2xJCAC. Only one more jcac to LTJCH tittle. Surely a great start to his shown career!! Arttu did also great job Saturday exc2 and Sunday EXC2, BM2, Res-CACIB. 1.-7.2. Little road trip to Brno, CZ. We made this trip with Kaisa and her girls Prada and Klara. We took part in two CACIB shows in Brno. Met lots of new people from different coutries. We should have been trevel by the travel agency which cancelled the trip only few weeks before the shows! So we decided with Kaisa to go our own car. We have lots of doing before the trip.Planning the way to Brno and back, book hotels, changing car tires, registrate the dogs to the shows, book ferry and so on...But we did it and got the trip even cheaper than it would have been by travel agency. Driving over 3000 km was worth it!! Thank to goes also the RR people from CZ who helped us with hotels, registrations and etc! Thank you especially Katka & Jitka for all your help!Thanks goes also the RR people from CZ who helped us with hotels, reagistrations etc! Thank you especially Katka & Jitka for you help! Thank you Kaisa for being world best travel partner!! :) More pictures our trip you can find in gallery and here. 4.2. Brno CACIB show TARUJEN UWAYO BOB NEW CZ CH!!! 29.1. Jorma is still living wiht us. Nothing news about his owners. Boys get along quite good. Jorma is such a loving person. 21.-22.1. Our year first show on Turku. This time I did trip with Arttus son Ikimba Halifu "Unto and his owners Tuuli and Timo. 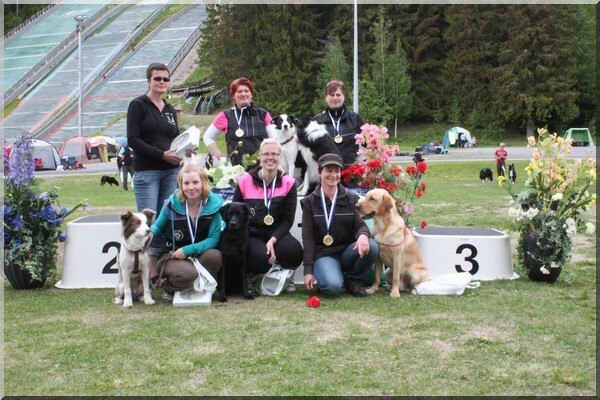 We were planning to meet on Saturday day Nina and hers rr girls and couple other dog owner on the forest walk at Raisio. So I started trip very early in the mornig I picked up Tuuli, Timo and Unto at Jyväskylä on my way to Raisio and Turku. We have lovely walked with the dogs. After walk we went to eat and then we been planned to meet Nina and the girls little bit later on the evening. 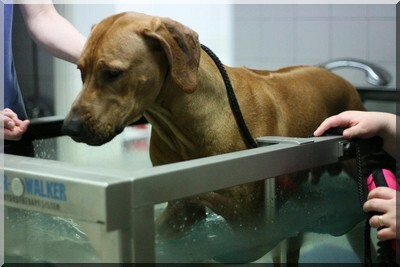 Becouse Nina is the dog fysiotherapist we had possibility to access to "stew" or dog have. :) We have lovely evening wiht the dogs, lots of talking, laugh and little bit tranining with Myay (Arttus dother) on stacking. 12.1. I got really bad news early this week. One of the Arttus son owner were hospitalized for treatment of and they need place who can take care of "Jorma" Soon as I was spoken with Pasi we decided to take Jorma in our house for a while. Today we were to pick him up. Arttu wasn't so happy about this young guy..I hope everything will be settle down with time. 3.1. I got great news from CZ. 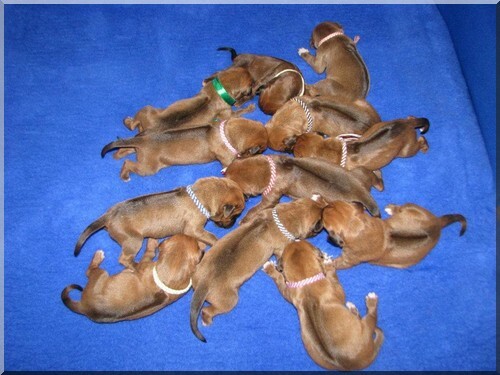 Kennel Nyambes A-litter is on it's way. Darcy is pergnant! !